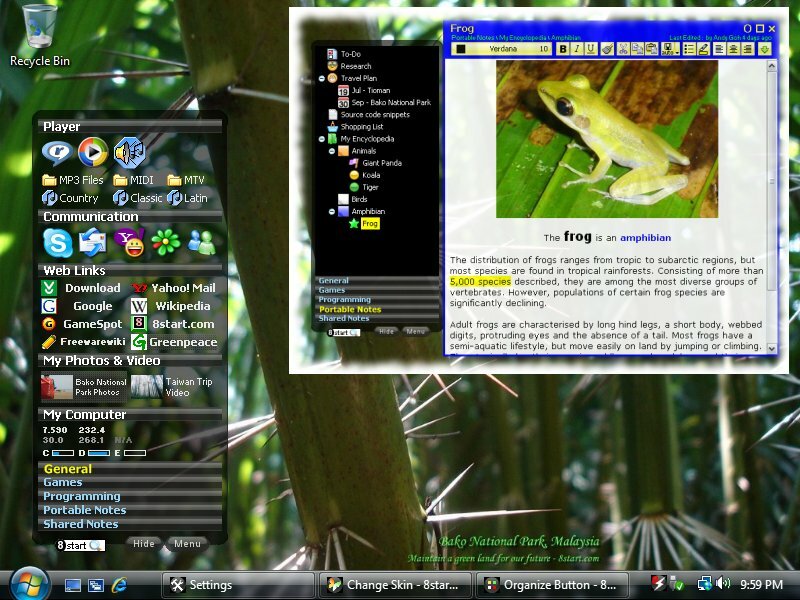 A skinable, portable, innovative Application Launcher, Countdown and Tree Notes. A whole new way of launching programs and files, making your desktop clean, countdown to / for specific time, access/share notes fast and easy. Automatically launches selected applications at windows startup using configurable custom sections with configurable delays and providing selection of individual applications. Best suited for latop users. This site does not contain serial number, crack, keygen 8start Launcher serial number : serial number is the simplest type of crack. A serial number(cdkey,product key,etc) is register the program as you may already know. a crack or keygen may contain harmful software. If you cannot find the exact version you want, just give it a try. for more information read .nfo/.txt/.diz file include in zipped file.